What is a musculoskeletal MRI? Magnetic resonance imaging (MRI) is a commonly used imaging technique that uses a strong magnetic field and radio waves to observe structures in the body. Using MRI to evaluate the musculoskeletal system has many advantages. MRI provides high resolution images of all musculoskeletal structures, including bones, joints, muscles, tendons, ligaments, and nerves. Our qualified physicians offer expertise in this service. When is a musculoskeletal MRI used? 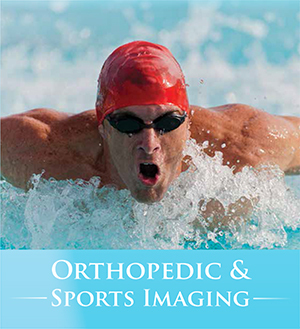 How is a musculoskeletal MRI performed? Depending on the area of the body being imaged, the patient may be lying on a bed or sitting in a chair. We offer a wide array of MRI options, including standard and high magnetic field strength systems (i.e. 1.5 and 3 Tesla), an extremity dedicated system, and a low field strength open magnet system (Open MRI) for patients with extreme claustrophobia. Our standard field strength system offers a wide opening into the magnet. When imaging joints of the extremities (e.g. elbow, wrist, hand, knee, ankle and foot) an extremity dedicated system provides a comfortable setting in which only the joint of concern enters the magnet. Lightweight straps, cushions and electronics overlie the body part of concern. Occasionally, the test may require the injection of a medicine into the patient’s arm or hand vein to enhance the study. The scan produces loud noises. The patient may listen to music through headphones during the test. An MRI technician will be working in the room next to the machine and able to speak to the patient through a microphone. Most studies take 30 to 45 minutes to complete. After the scan, the patient may return to normal activities.